Hormones are the main treatment for endometriosis. Hormone treatment makes the lining of your womb thinner and reduces the amount of endometriosis in your pelvis. It can take a few months for hormone treatment to work as well as it can. Hormone treatment comes in several forms. The Pill works by stabilising your hormone levels and stopping your ovaries from releasing eggs. Without the changing hormone levels the endometriosis cells do not have the same stimulation to grow, breakdown, and bleed as they do during a normal cycle. As some women still have pain during their period, doctors often suggest women run three pill packets back-to-back or to take the hormone tablets (not the ones without hormones) continuously. 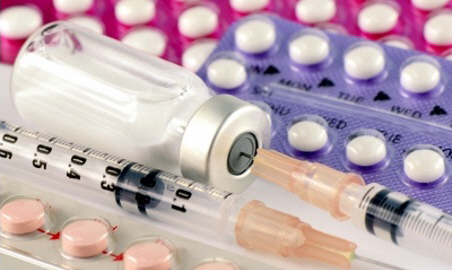 Depo-Provera is a three-monthly injection of the hormone progesterone. It works by keeping the lining of your womb thin and it also helps to suppress endometriosis, reducing the pain and making periods lighter. Mirena is a small T-shaped device that is put into your uterus. It slowly releases small amounts of the hormone progesterone. Its works in a similar way to Depo-Provera, but it releases the hormone straight into your womb, not your whole body, so it doesn't have the same side effects. You need to change it every five years. This is an injection that will put you into temporary, reversible menopause. It stops your ovaries from producing oestrogen and lets the endometriosis shrink. It is very effective but some women find the side effects, which can include hot flushes and night sweats, very uncomfortable. Taking a small dose of oestrogen can help to control these side effects. Zoladex treatment is limited to six months at a time, as any longer may increase your risk of osteoporosis. Some women need just one six-month course of Zoladex. Pain relief, especially anti-inflammatories such as mefenamic acid, ibuprofen, naproxen, and diclofenac, help to reduce inflammation and pain. Taking them regularly, with or without paracetamol, may be particularly useful. Surgery can diagnose endometriosis and can help to improve its symptoms, but it doesn't always get rid of pain. Approximately 20% of women with endometriosis get no improvement after surgery. This is despite having all the endometriosis removed. Repeated surgery for endometriosis has risks. These include possible damage to other organs, getting an infection, and developing scar tissue. The first operation for endometriosis tends to be the most successful. Repeat surgeries tend to be less successful. Repeat surgeries often don't find any endometriosis. This involves a surgeon inserting a small tube, which has a camera and instruments attached, into your abdomen (tummy), through your belly button. They can then see what's happening, and even remove tissue. You can read more about laparoscopy in this leaflet. This is open surgery, through a large cut in your abdomen (tummy). It may be necessary if your endometriosis is severe, involves your bowel or has caused a lot of scarring and adhesions that need to be removed. If nothing else has worked and your symptoms are severe, doctors may suggest you have a hysterectomy (removal of your womb). This would mean you could no longer have children. If your ovaries are also taken out you will go into menopause. However, you may still have some pain, even after having a hysterectomy. Your doctor will talk with you about which options you can try, and the risks and benefits of each one. If your pain is largely around the time of your periods, it's usually best to try hormone therapy before anything else. any other medical problems you have. Endometriosis can't always be cured, as many different things may be contributing to you pain. If no treatment works for you, it's best to get help to manage your symptoms rather than continuing to try more treatments. Staying a healthy weight, reducing stress, and stopping smoking can improve your symptoms. If you also have irritable bowel syndrome, changing what you eat may help, as may medicines that stop your bowel from having spasms. Some women find changing what they eat helps, even if they don't have irritable bowel syndrome. You may want to consult a private dietitian for advice. Becoming more active can have an effect, and relaxation techniques such as tai chi, yoga, and meditation can help. You might also find it helpful to see a chronic pain specialist. Written by GP liaison, Christchurch Women's Hospital. Adapted by HealthInfo clinical advisers. Last reviewed February 2017.